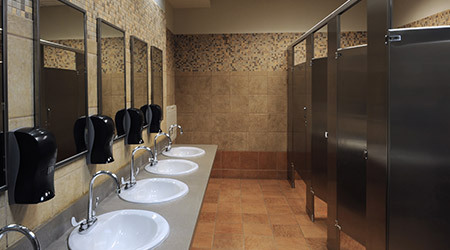 Businesses that make a point to clean up their restrooms may also clean up in sales, according to new national research conducted by Bradley Corporation. The annual Healthy Hand Washing Survey reveals that almost half of Americans say they will “definitely” or “probably” spend more money at a business that has clean, well-maintained restrooms. In addition, nearly 60 percent of Americans make a conscious decision to visit a specific business because they know it has nice restrooms. For restaurants, the judgment surrounding the condition of restrooms is especially tough, as 82 percent think a restaurant with dirty restrooms is “extremely” or “fairly” likely to have a dirty kitchen. Further, out of all types of facilities, restaurants and health care establishments cause Americans the most concern about workers not washing their hands. The survey also shows that when businesses let restroom maintenance slip through the cracks, they are at a high risk of jeopardizing customer satisfaction and sales. That means more businesses may be on shaky ground with customers since 70 percent of Americans report having an unpleasant restroom experience – a number that has steadily increased from 59 percent over the past three years. In fact, 42 percent said they had a bad experience within just the past two months. 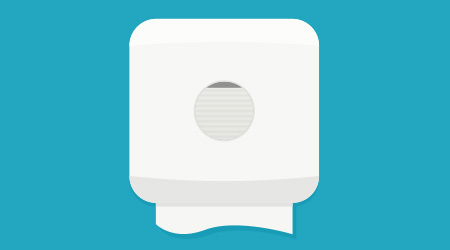 Top restroom frustrations include having to walk across a wet floor (women in particular), reaching over someone to access soap and waiting in line for a hand dryer. The survey of 1,035 Americans, which was fielded Jan. 2-5, also delved into perceptions about this year’s pervasive flu season. Almost 60 percent of Americans are “extremely” or “quite” concerned about contracting a new or particularly resilient strain of the flu. This elevated concern appears to prompt more diligent hand washing, as 65 percent of Americans say they wash their hands more frequently or more thoroughly to avoid getting germs or passing them on to others.